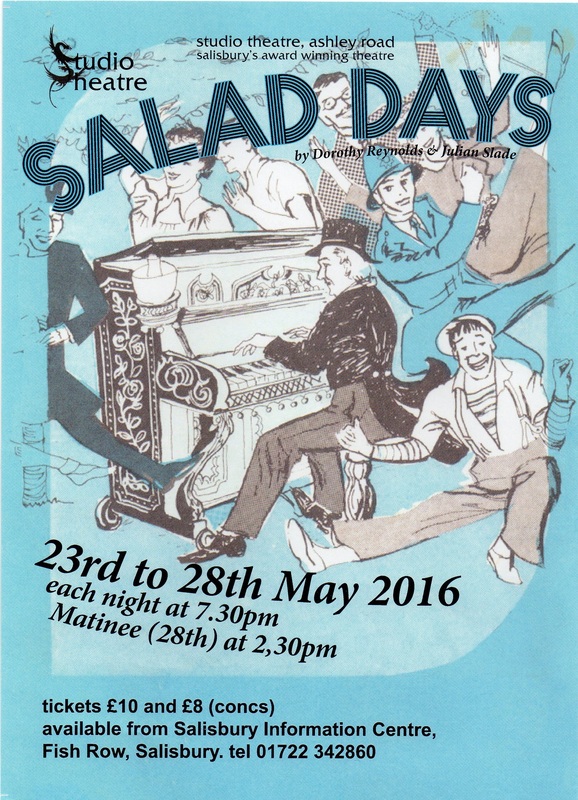 Salad Days opened in 1954 in the West End and remained until 1960 when it closed after a run of 2283 performances. This was the first show seen by the young Cameron Mackintosh which sparked off his life-long interest in the Theatre. The performances will be on 23rd – 28th May 2016, Nightly at 7.30 p.m. and a matinee on Saturday 28 at 2.30 p.m.